MOSCOW, September 6. /TASS/. 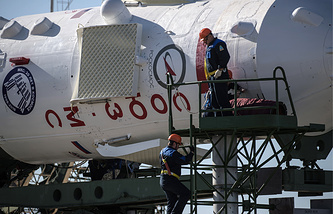 The manned spacecraft Soyuz MS-09 might have been damaged in the final assembly hangar or at the control and testing station before being dispatched to the Baikonur space site. 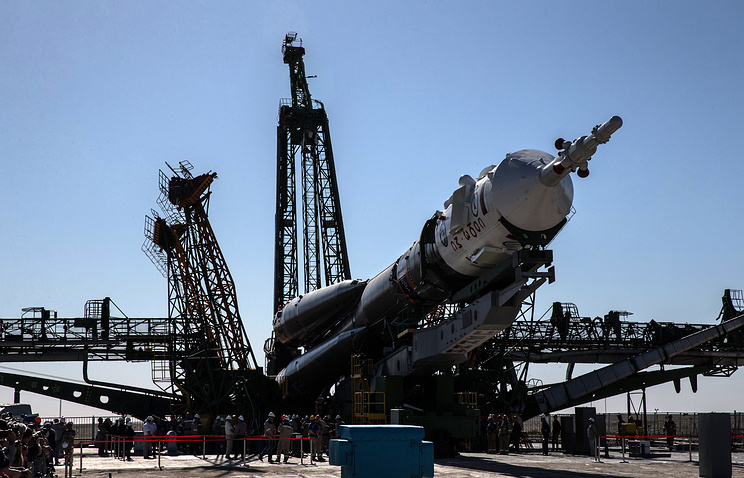 Both the assembly hangar and the testing station are on the premises of the space rocket corporation Energia in Korolyov, near Moscow, a source in the space rocket industry told TASS. "One of the possibilities is the spacecraft might have been damaged in the final assembly hangar. Or it could happen at the control and testing station, which carried out the final workmanship tests before the spacecraft was sent to Baikonur," the source said. TASS has obtained no official confirmation yet. The period of final testing may last up to 90 days, he added. Before going to the final assembly hangar the spacecraft underwent pressure chamber tests. "It was airtight," the source said. As for the final assembly hangar and the control and testing station, he remarked that "no outsiders are let in." "Only those with proper security clearance are allowed to enter. Also, at the entrance to the hangar and the control and measurement station there are security guards checking all those who come and go," he added.